SRT is fluttering in blue ribbons. Years ago, flush with the career fever, I announced I no longer worked for trophies, pats on the back, or awards since you can’t eat those. I lied. Being named by Jamie Jensen, author of Road Trip USA as one of the Top 10 Road Trip Blogs and recently winning the Portrait category of John Batdorff’s Black & White Photography contest has raised my chin and straightened my back. I don’t want to consider there could only be 10 road trip blogs, and I know for certain John’s contest had some incredible entries, even in the Portrait category. Since I don’t think it possible to spread enough of the road trip love around, here’s the entire list, so you road trip aficionados or wanna-be’s can check out the others. Enjoy! John Batdorff is a 2nd generation professional photographer whose work has been showcased by the National Museum of Wildlife Art in Jackson, Wyoming. He specializes in outdoor/landscape and travel photography. John’s blog is a fun, perpetual photography course. He has a knack for presenting his experience and talented eye in a way that both entertains and better than that, sticks – you won’t forget the instruction he imparts. Anyone wanting to improve their photography should follow his blog. Not only will you learn, but you’ll have a great time doing it. Click here for all the winning captures in his latest contest. 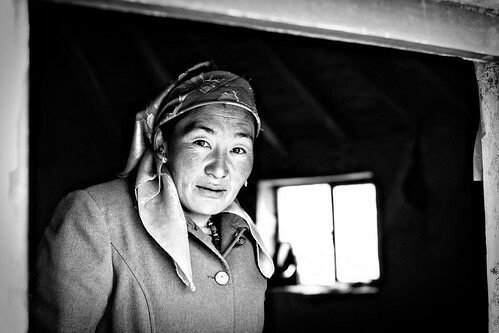 The photograph of the woman taken during the 4-week backpacking trip to rural China with my son won the Portrait category. Celebrate with me for this one brief post. We’ll return to the real world tomorrow. Actually, tomorrow is Thanksgiving! Happy Thanksgiving. And thank you for being here. You are the best! You are the best! We know you are the best! Congratulations, my dear Tammie! Your writing and photography deserve awards, and these will not be the last, so prepare yourself!! Congrats on the photo contest win! By the way, I have a giveaway that you or your readers might be interested in: a Lubitel 166+ camera package. Hope you can help me promote it. And please, do join! Thanks!